1. To start, Mueller will investigate #TrumpRussia w/in hazy parameters outlined by Comey to House Intel on 20Mar17. 2. #TrumpRussia update after DAG Rosenstein mtg—Mueller focused on domestic crimes; counterintelligence stays w/ IC. 4. Part 2. *Confirmed* Case Facts. c. Collusion w/ DNC hack/Wikileaks. 5. Remember Nunes telling Fox (19Mar) someone in WH is currently under surveillance? 6. Kushner is the "significant person of interest" to FBI/Mueller. Why? 7. Unknown if Mueller asks to extend case timeline past Nov16 (Flynn/cover-ups), but Apr16 start is set in stone. 8. By sending copy of this👇letter to Mueller, Rep Cummings magically turned letter itself into material evidence. 9. "Issue" w/ Flynn SF86 security clearance was guessed at soon after he was fired. Tick-tock until the docs drop. 11. ...Prof who wants anonymity: Trump firing Comey is vanilla compared to stonewalling👇an Equal Branch of Gov. 12. White House 19Apr17 denies having—or refuses to provide—Flynn security docs requested by House Oversight 22Mar. 13. Cummings' comments, after DIA briefing, disclosing White House refusal to comply w/ request for Flynn docs. 14. When Flynn said he had "stories to tell" in exchange for immunity, he meant Kushner. 15. What does Flynn have on Trump, that he could publicly ask for immunity, implicating son-in-law Kushner, & still get "stay strong" text? 6Apr: Kushner admits SF86 "flub." 18. Reason Kushner➡️Kislyak-ed marks inflection pt: credible Trump motive for quid pro quo—Lifting sanctions lets Russian banks lend to US. 19. Kushner met w/ Kislyak twice (that we know). Apr/Dec16. But he contacted Kislyak 3rd time via protégé Avi Berkowitz (Dec16). 20. Kushner-Kislyak calls weren't FISA intercepts. But mtg w/ Gorkov? VEB bank brings Russian SVR Intel into US. 21. Trump HAD Executive Privilege to stop Comey testimony in Senate & w/ Mueller/FBI, but his public Comey comments nixed that. 22. Investigation of Trump for Obstruction of Justice ⚖ began days after Comey firing. Congress uses findings to decide whether to impeach. 23. Deck stacked against Trump in new Obstruction probe. a No Executive Privilege (Nixon). b Scrutiny of his private words on Comey firing. 24. This bit in WaPo-Mueller-Obstruction story, noting "...conversations w/ Trump and OTHER OFFICIALS..."
25. Clear now why Coats & Rogers were squirrely abt "legal basis" for staying mum at SSCI hrg last wk. They'd agreed to Mueller interviews. 26. Remember: Trump doesn't corner Comey, ask Coats & Pompeo to stay, phone Rogers, etc, to get Feds off Manafort. 27. Jared's finances—& by extension, I assume, his family-owned Kushner Companies (father, uncle, sister), are under Mueller's microscope. 28. Kush & Co aside ("business deals"), Special Counsel Mueller investigating Kushner's "finances" means they'll be looking into Ivanka. FBI GenC—w/ties to NatSec/IC—never supported Comey telling Trump he's scot-free. May have had IC info. 30. News of Pence hiring outside counsel may explain Comey including VP in answer to Rubio without being asked. 31. You don't load a gun w/ experts in Supreme Court & Hungarian money laundering unless you aim to fire. 32. Get Queen lined up on playlist, cause another one is about to bite the dust. Rosenstein privately acknowledged need to recuse himself. 33. All Manafort investigations—even NY money laundering—now run by Mueller. Kilimnik—subpoenaed by Eastern Dist VA—likely US Intel asset. 34. In US, Kilimnik met Manafort twice, May16/Aug16. 2 Former clients in Ukraine. 35. Mueller didn't hire Lisa Page who worked Hungary money laundering for FBI cause he liked the cut of her jib. 36. Manafort's Black Ledger—stolen from his Kiev office—revealed $1.2 million in concealed payments to his LLC. 37. Manafort's hidden $—dated 2007/09—overlaps yrs Firtash/Gazprom played petro-dollar politics w/ Hungary. 38. Lucky for Manafort, Firtash could clean & send money through Austrian bank Raiffeisen—go-between for Firtash-Gazprom joint venture. 39. Even w/ new facts (his wife), path for Manafort's money laundering never changed. Mueller has a slam dunk. 40. Putin uses organized crime for plausible deniability. US law struggles w/ cases merging criminal↔️counterintel. 41. 9Jun16: 1st confirmed mtg of Russian Nat'l w/ Kremlin ties & Trump team. Veselnitskaya represented Prevezon—Cyprus money laundering Co.
a Manafort replaces Lewadowski as campaign manager (Manafort➡️Veselnitskaya 9Jun). b Carter Page asks to go to Russia. 43. Prevezon Russian money laundering case Preet Bharara prosecuted was uglier than $6m settlement reported by NYT. 44. That time the FBI interviewed Don Jr & Eric. New significance given Manafort-Kushner-Jr mtg w/ Veselnitskaya. 45. Don Jr's new story: "acquaintance" brokered mtg w/ Veselnitskaya because she claimed to have damaging info on Clinton. 46. Rob Goldstone ("acquaintance") brokered Veselnitskaya mtg likely for Aras/Emin Agalarov—father/son sponsored Miss Universe 2013—$20 mil. 47. 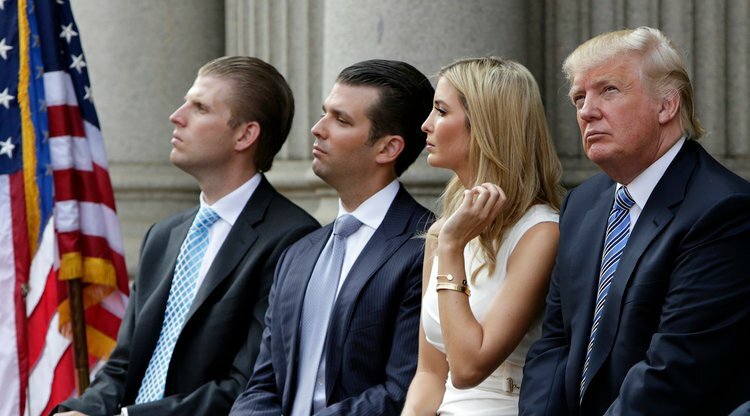 Agalarov family own Crocus Group (real estate firm); planned to build Trump Tower Moscow in 2015. Don Jr. last messaged Emin in Jan17. 48. Veselnitskaya "clarification" #2—secret Clinton info involved DNC donors. Also. Prevezon (Magnitsky) still active when mtg held Jun16. 49. Don Jr knew Russian gov was behind damaging Hillary info. No wonder Jr's new criminal def attorney is mum on ill-advised weekend stmt. 50. Veselnitskaya story—Looking like security clearance revisions forced disclosure. Why 3 unnamed WHITE HOUSE sources? Trump obstruction. 51. "Crown Prosecutor" is Prosecutor-General Chaika. Friends w/ Veselnitskaya & Putin. Like FBI/DOJ, Chaika works closely w/ Russia's FSB. 52. Alexei Navalny outted Chaika's corrupt prosecutors in English-language video. Putin could not rule w/o Chaika. 53. Case Update: 6 undisclosed Trump-Russia meetings. Don Jr didn't disclose 6th person in room—Rinat Akhmetshin, former GRU (Russian military intelligence). 56. 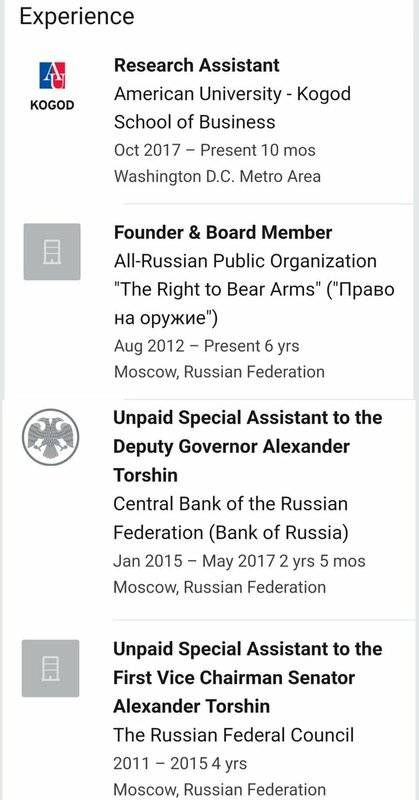 Rinat Akhmetshin—Russian national & fmr GRU Intel officer—is a lobbyist w/ hragi.org (HRAGIF, registered 2016, Delaware). 57. Post-GRU Rinat Akhmetshin➡️prime suspect in computer hacking of International Mineral Resources for Russian oligarch Andrey Melnichenko. 58. Akhmetshin confirms participating in Don Jr-Veselnitskaya mtg & more. Russian lawyer brought documents—Unsure if delivered to Trump Jr.
59. Rinat Akhmetshin: "Veselnitskaya presented Trump [team] w/ details of...illicit funds...funneled to DNC." 61. Update #3—Jr's Russia mtg. 63. Kushner legal strategy (protect assets) puts him in a pickle. Claims he took Sergei Gorkov (VEB) mtg because banker close to Putin. 65. ...He muddies purpose of Gorkov mtg by denying discussions of ANY specific polices w/ the banker close to Putin—including sanctions. 66. Red Flag. Kushner doesn't recall any documents offered/accepted at Don Jr-Veselnitskaya mtg (9Jun16). 68. Literally every box to prove Trump Obstruction of Justice ⚖ beyond reasonable doubt is checked ☒ in this story on Jr-Russia cover-up. 69. 3 times Trump demonstrably obstructed Russia probe. 8Jul—Jr stmt on Trump Tower mtg. 70. Zero reason Trump WH admits dictation story true UNLESS they can't control narrative. Mueller knows Hope Hicks never took loyalty oath. 71. Mueller Special Counsel team expands to 16. -3 lawyers who know fraud/corruption/foreign bribery. 72. Today in Trump-Russia: Special Counsel Mueller impanels Grand Jury in DC. Proceedings secret—can indict & subpoena witnesses/documents. 73. If correct FBI raided Manafort home for Tax & Banking Docs, then FinCEN noose is tightening. 74. Revealed: Rinat Akhmetshin says he knew Manafort before Jr-Veselnitskaya mtg in Trump Tower. No stranger to Ivanov either (Fmr #2 FSB). 75. Trump pardoning Sheriff Arpaio pre-sentencing hamstrings Mueller probe. De-fangs Contempt of Crt against witnesses who ignore subpoena. 76. 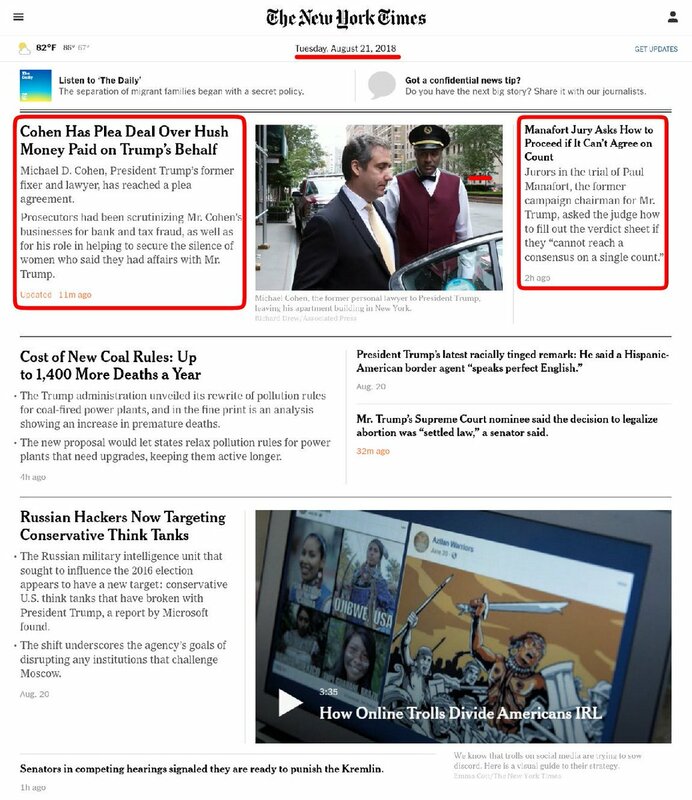 NYT omits *why*—of all Putin people—Michael Cohen emailed Dmitry Peskov (Kremlin Spokesman). Steele Dossier says Peskov ran Clinton Op. 77. Trump hamstrung Mueller's power to compel witnesses—via Contempt of Crt—w/ Arpaio, so Mueller hog-tied pardons. Farming case back to Schneiderman signals Trump Obstruction. a Manafort can't afford legal fees (flip). b Trump Taxes exposed to Max. Legal. Jeopardy. 81. Still unknown—Mueller's info on Facebook accounts/ad buyers needed for probable cause. 82. Start-date of 2nd FISA on Paul Manafort unknown. But CNN says it's for Trump-Russia case, which began Jul 2016. 83. Mueller wants White House docs. 84. Mueller opens criminal probe into Podesta Grp violating FARA w/Manafort firm in Ukraine. Harder for Trump to call Mueller partisan now. 85. Mueller files 1st criminal indictment in DC Federal Court. Dep AG Rosenstein signed order. 86. Time to re-up that then Acting AG Boente may have to corroborate Comey testimony to Senate Intel Cmte, 8Jun17. 87. Boente can corroborate Comey testimony that Trump attempted to interfere in FBI investigation; Trump may have called Boente about it. 88. Veselnitskaya brought Trump Jr info from Russian Prosecutor-General Chaika—(Putin associate, works w/ FSB). 89. Odd time for public interview w/ WH lawyer Ty Cobb. Unless msg that Trump isn't concerned w/ indictment is intended for Mueller's ears. 90. Until indictment unsealed, we won't know charges. But Manafort AND Rick Gates points to financial malfeasance. 91. Mueller is a special prosecutor—not an "investigator." This is where he plays Manafort & Gates off each other. 92. 12 count, 34 page indictment of Paul Manafort & Rick Gates. Summed up as Conspiracy to Conceal Foreign Payments. Trump Tower mtg (Kushner, Trump Jr)/Yuri Chaika. 95. Ex-Trump Aide George Papadopoulos pleads guilty to making false statements to FBI. Mar16, he attempted to set up Trump-Russia mtgs. 96. George Papadopoulos Statement of Offense: 1st admission Trump campaign aide of pushed Clinton dirt from Russia. 97. Papadopoulos arrested 27Jul17 (lying to FBI). 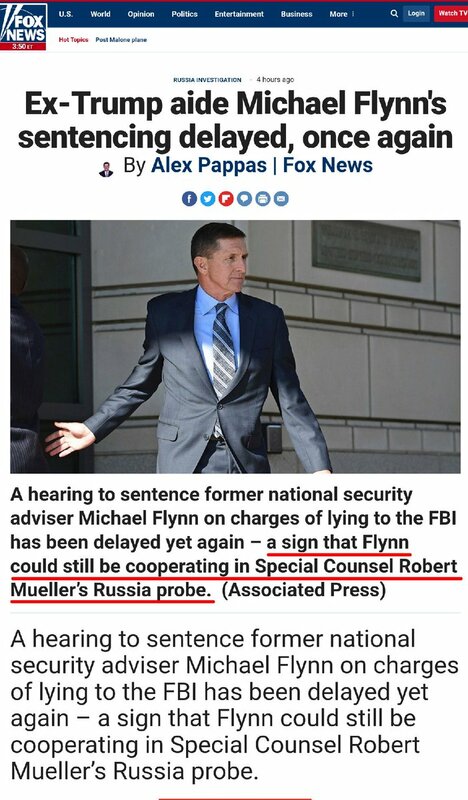 Light recommended sentence indicates he's Mueller's 1st known Cooperating Witness. "Official" who forwarded Papadopoulos email, "Request from Russia to meet Mr Trump" (21May16) is Manafort. RNC paid Bade LLC—through which Manafort/Gates are accused of repatriating hidden money—for work done w/ Trump campaign. 100. So supervisor Sam Clovis recommended Papadopoulos go to Moscow? Same Clovis who brought in Carter Page? 101. Unmasked. Consultants Manafort/Gates used to hide pro-Russia Congressional lobbying. Good to re-up known Manafort Grand Jury subpoenas. —Two Trump MAGA associates in federal court on same day: Manafort awaits his jury verdict; Michael Cohen pleads guilty. 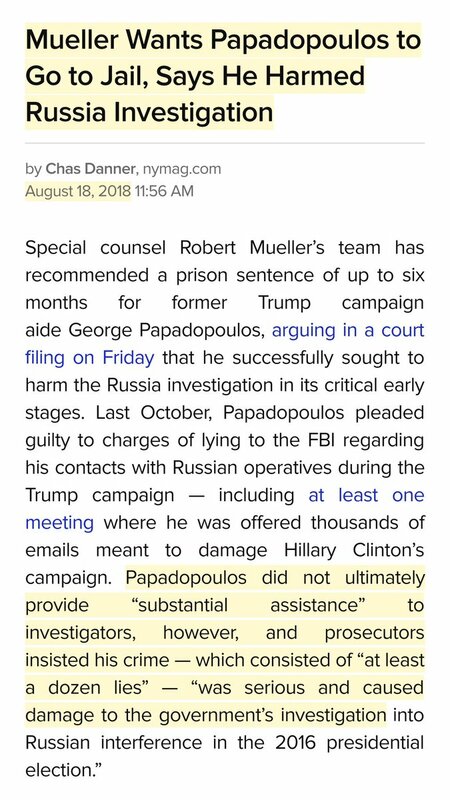 —Mueller recommends jail-time for unhelpful Papadopoulos. —Flynn... Still in Mueller's pocket. —Part 1 of 3: 17May17 to 30Oct17. 17May17 (Mueller Appointment) thru 30Oct17 (Manafort & Gates Indictments/Papadopoulos Guilty Plea). —Part 2 of 3: 31Oct17 to 13Jul18. 31Oct17 (Manafort & Gates Indictments/Papadopoulos Guilty Plea) thru 13Jul18 (Mueller indictment of Russian GRU officers for attacking 2016 US election). Maria Butina was arrested yesterday & charged a few minutes ago w/ Conspiracy to Violate US Law as Foreign Agent of Russia. She's close to NRA leadership, bragged about Trump-Russia connections, and proposed Russia back-channel to Trump campaign w/ GOP operative Paul Erickson. 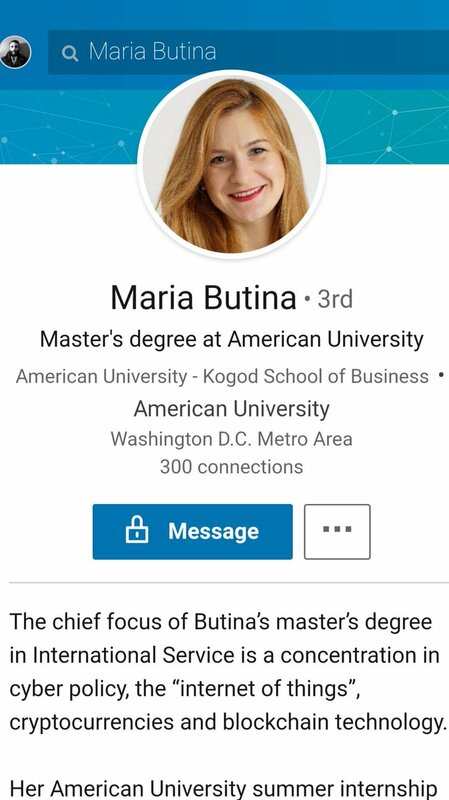 Maria Butina's graduate school focus on cryptocurrency and blockchain (Bitcoin) while she works as an *unpaid* assistant to a known Russian money launderer w/ ties to FSB is a bit on the nose. Absent from her LinkedIn: two businesses she owned w/ GOP operative Paul Erickson. 1. Level of "duh" that Dana Rohrabacher (R-CA48) is unnamed lawmaker referenced in Maria Butina indictment? Indictment states Butina/Torshin met lawmaker in Russia Aug 2015. Rohrabacher & Gregory Meeks (D-NY05) led delegation to Russia 4-6Aug15. Trump, standing next to Putin: [Russia's global alienation for anti-democratic actions, invasions, poisonings, etc] "changed as of about four hours ago." 1. Mueller visits them in Russia. 2. US let's Russia interrogate US counterintelligence officers & classified docs. Brass tacks: before today, Russia's only major allies since 2014 annexation of Crimea were China, Iran, North Korea, Syria (Assad), and Cuba (AKA Alliance of Autocracy). 🔥THREAD: Michael Cohen's plea deal with Mueller is utterly damning for @realDonaldTrump and his spawn, Don Jr, Kremlin🇷🇺Barbie, and Eric. 🔥Cohen pleaded GUILTY for LYING to @HouseIntelComm and Senate Intel to "minimize the links between the Moscow Project (Trump Tower Moscow) and Individual 1 (@realDonaldTrump)" and give the FALSE impression that the project ended before the "Iowa caucus and...the first primary." 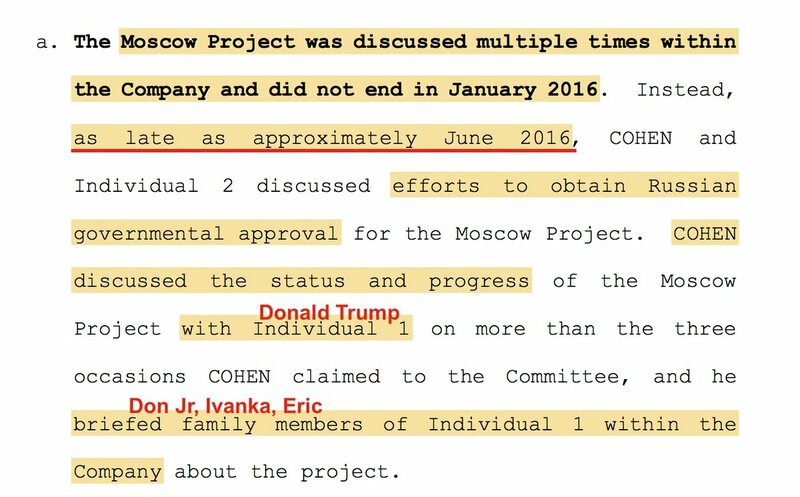 Cohen now admits that the #MoscowProject was discussed MULTIPLE times w/in @Trump Org – including with Trump and "family members" (Don Jr, Kremlin🇷🇺Barbie, Eric) – **as late as June 2016** when Trump was the presumptive @GOP nominee for president. Is there any comparison? Between the way the campaigns of Donald #Trump and Adolf #Hitler should have been treated by the #media and the culture? The way the media should act now? The problem of #normalization? Because I’d written a book called Explaining Hitler several editors had asked me, during the #campaign, to see what could be said on the subject. Until the morning after the election I had declined them. *** THREAD *** New evidence reveals Mike Flynn was bribed by a Qatari spy. Qatar was involved in the oil deal outlined in the #TrumpRussia Dossier. Please share. Thanks!